We all know how important it is to take care of our health and the health of our family. But, man, it’s such a pain to go to the doctor! First, you have to make an appointment online or by phone, only to find out that the next available time slot isn’t for several days, or maybe even weeks. On the day of your appointment, you bear the cold weather and holiday-related traffic and head to the office. That’s when the waiting game begins. You wait to check in, you wait to be called, you wait for the doctor to come. This can take anywhere from 10 minutes to over an hour. Once in the examination room, you only get about 15 minutes to explain every concern you’ve had from the past few months. The doctor then gives a prescription and you are hurried out so the next patient can go in. Sound familiar? The whole experience is such an ordeal that most people put it off as long as they possibly can. That’s why Heal on-demand healthcare is such a welcome option. 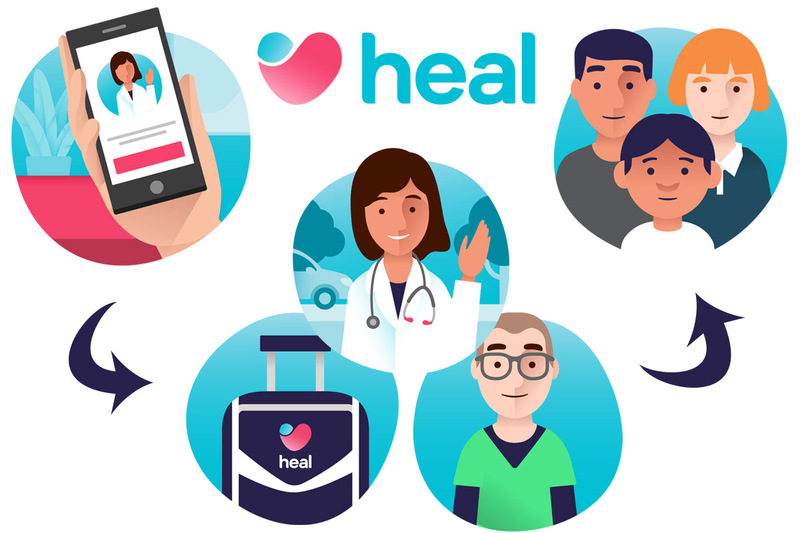 Heal provides on-demand healthcare for everyone in the family by bringing the clinic to you. 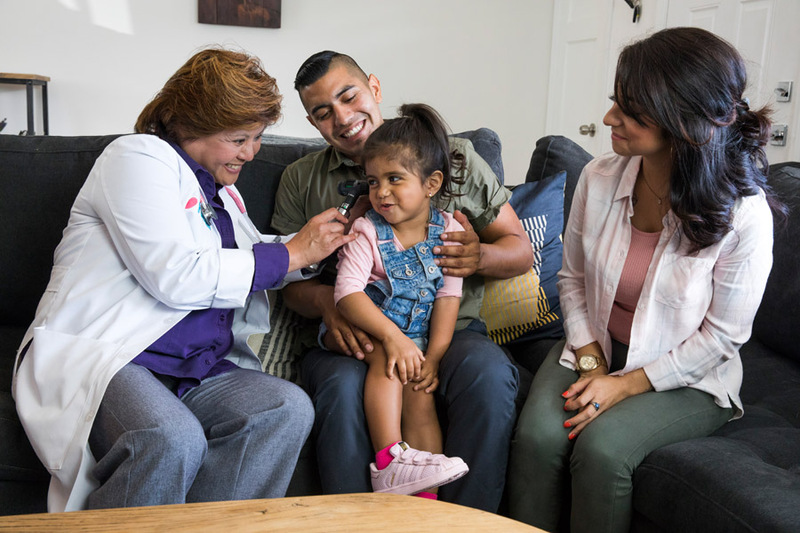 Highly trained, licensed doctors (pediatricians, general practice, internal medicine, family practice) travel to your home along with a medical assistant and all the needed equipment and supplies. You only have to do is select a same-day two-hour window that works best for your schedule and make sure you’re home to open the door. Visits are not rushed and generally average about 30 minutes. 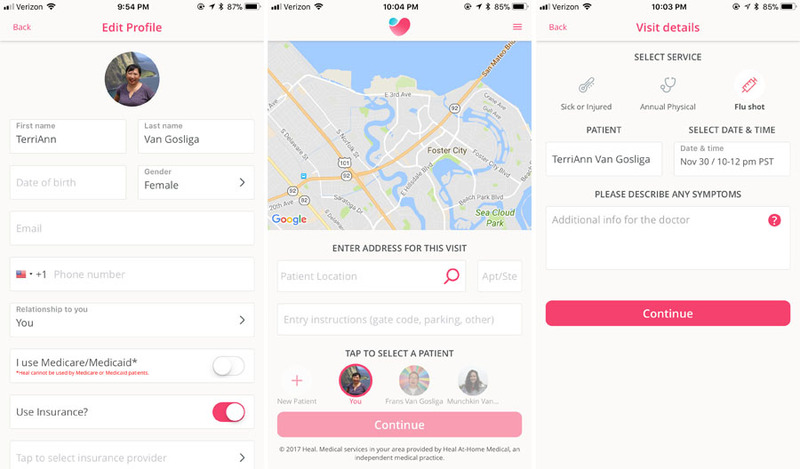 On-demand healthcare appointments are available 365 days a year from 8 a.m. to 8 p.m. You can request a doctor house call via the Heal mobile app or website. Heal offers primary, preventative, and urgent care for all age groups from infants to seniors. Notably, it is the only in-home and in-network provider (more on that in a bit) of well-baby exams and vaccines in the country. 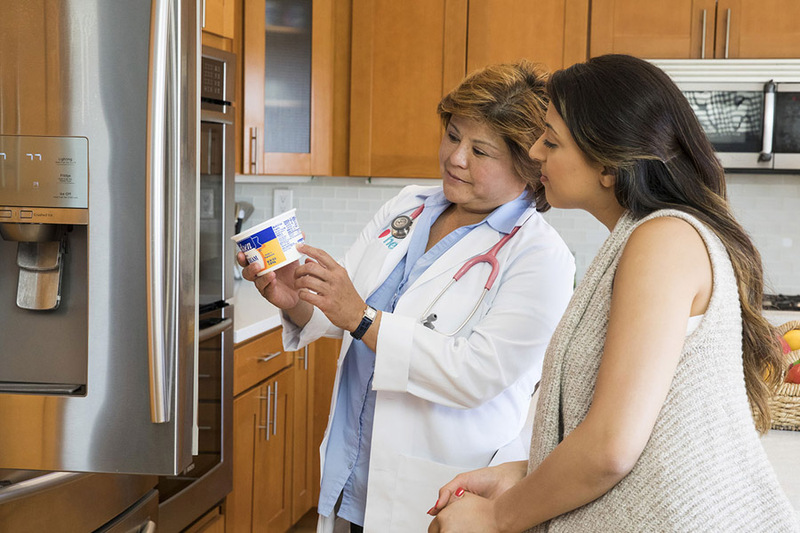 Additional services, such as lactation consulting, are now available thanks to the recently introduced Heal Health Network. Currently, Heal serves several cities in the Los Angeles, Orange County, San Diego, San Francisco Bay Area, and Washington DC areas. See below to get a better idea of the types of on-demand healthcare you can receive. How awesome is it that women’s health services (breast exams, birth control, etc.) are included?! 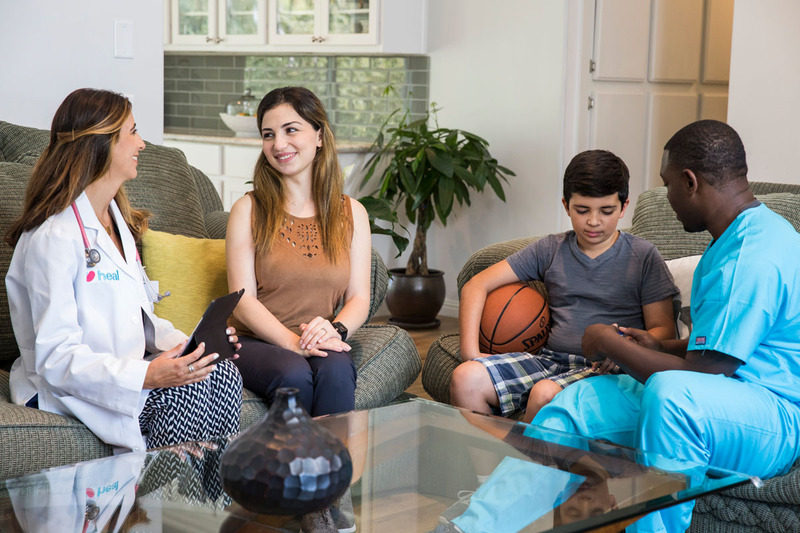 An added benefit of Heal house calls is that, since the doctor is visiting your home, he or she can check out your living environment to identify any triggers which might worsen your symptoms. This makes it easier for them to create a custom treatment plan. If necessary, the doctor can also prescribe medication, order lab work, or refer you to a specialist. How Much Does Heal On-Demand Healthcare Cost? Okay, okay, I know what you’re thinking. This all sounds amazing but what does this “sounds too good to be true” healthcare cost? Heal accepts insurance so you only pay your co-pay. If you do not have insurance, it’s a flat fee of $99. There are no hidden costs, monthly premiums, or added fees to use this service. The reason Heal is so affordable is the fact that they don’t have the overhead costs of maintaining a brick and mortar doctor’s office or emergency room. Those savings are passed onto you in the form of reasonably priced on-demand healthcare. The company is in-network with select PPO insurance plans in California from Aetna, Anthem Blue Cross, Blue Shield of California, Cigna, and UnitedHealthcare. To check insurance eligibility, download the Heal app and enter your insurance information, email support@heal.com, or call (844) 644-4325. After learning more about Heal on-demand healthcare and the services it offers, I’m really excited to take advantage of its services. Unlike other companies which offer house calls, Heal provides a full comprehensive healthcare package that is both affordable and convenient. All the services available to you at traditional doctor’s offices or emergency rooms can be requested through Heal. You then receive that care in the comfort of your own home. No rush hour traffic, no screaming kids to transport, no driving under the influence (of cold medicine). Only quality healthcare at a reasonable price and right when you need it. Bonding with My Teen Daughter Through Music… and K-Pop Songs?